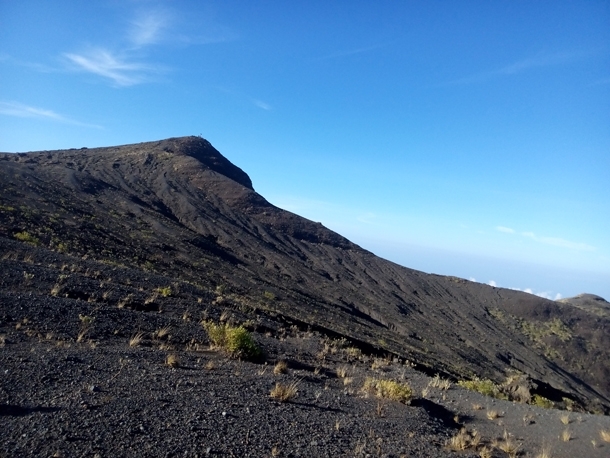 Mount Tambora (or Tamboro) is an active stratovolcano, also known as a composite volcano, on the island of Sumbawa, Indonesia. Sumbawa is flanked both to the north and south by oceanic crust, and Tambora was formed by the active subduction zone beneath it. 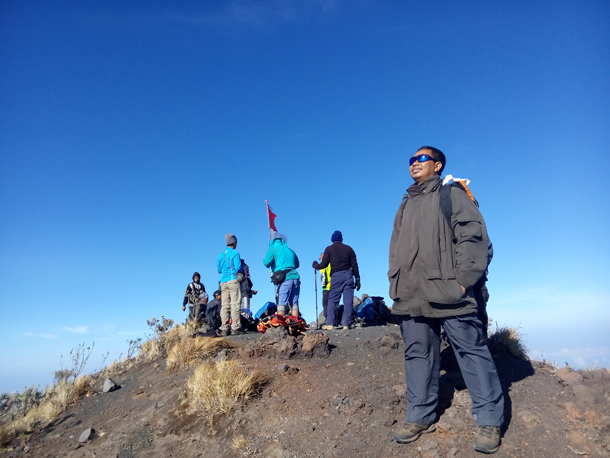 This raised Mount Tambora as high as 4,300 m (14,100 ft), making it formerly one of the tallest peaks in the Indonesian archipelago. After a large magma chamber inside the mountain filled over the course of several decades, volcanic activity reached a historic climax in the super-colossal eruption of April 1815. The 1815 eruption is rated 7 on the Volcanic Explosivity Index, the only such eruption since the Lake Taupo eruption in about 180 AD. With an estimated ejecta volume of 160 cubic kilometers, Tambora's 1815 outburst was the largest volcanic eruption in recorded history. The explosion was heard on Sumatra island (more than 2,000 km (1,200 mi) away). Heavy volcanic ash falls were observed as far away as Borneo, Sulawesi, Java and Maluku islands. Most deaths from the eruption were from starvation and disease, as the eruptive fallout ruined agricultural productivity in the local region. The death toll was at least 71,000 people (the most deadly eruption in recorded history), of whom 11,000–12,000 were killed directly by the eruption; the often-cited figure of 92,000 people killed is believed to be overestimated.The eruption created global climate anomalies that included the phenomenon known as "volcanic winter": 1816 became known as the "Year Without a Summer" because of the effect on North American and European weather. Agricultural crops failed and livestock died in much of the Northern Hemisphere, resulting in the worst famine of the 19th century. During an excavation in 2004, a team of archaeologists discovered cultural remains buried by the 1815 eruption. They were kept intact beneath the 3 m (9.8 ft) deep pyroclastic deposits. At the site, dubbed the Pompeii of the East, the artifacts were preserved in the positions they had occupied in 1815. 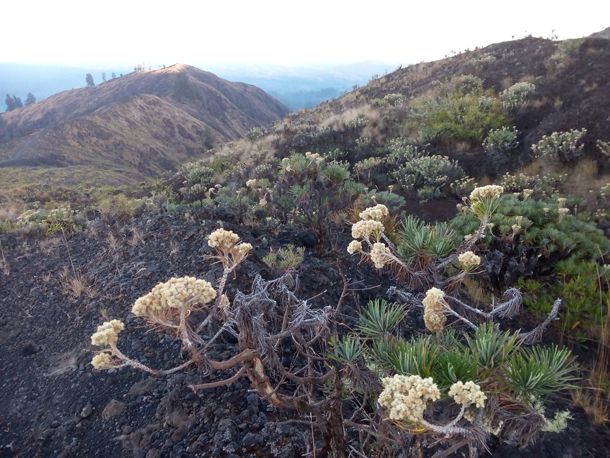 Pos V - Crater Rim - Peak 3 Hours Through tropical forest to Edelweis vegetation and desert. 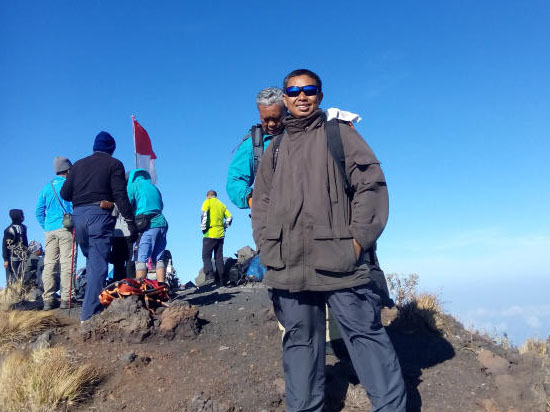 Mount Tambora trekking is special for advance trekkers (for those who are beginners should have enough preparation in advance, exercise and jogging), our trekking trip start from Lombok island cross with ferry to Sumbawa Island and with car drive through Sumbawa to the trekking point at Desa Pancasila. Along the drive is beautiful nature and landscape. 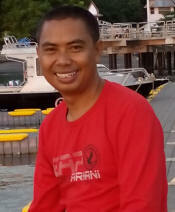 Depart in the morning to Kayangan harbor to get Public ferry to Pototano port, Sumbawa. From Pototano port continue drive to Sumbawa Besar Regency for 3 hours, stop here for overnight at Sumbawa Besar City. 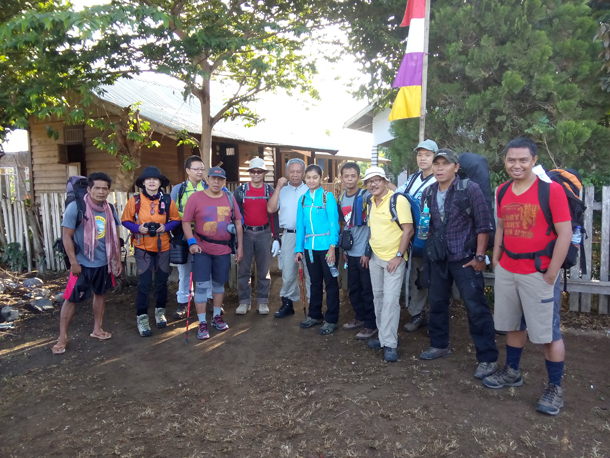 Early morning continue the trip to Desa Pancasila and arrive in the afternoon. 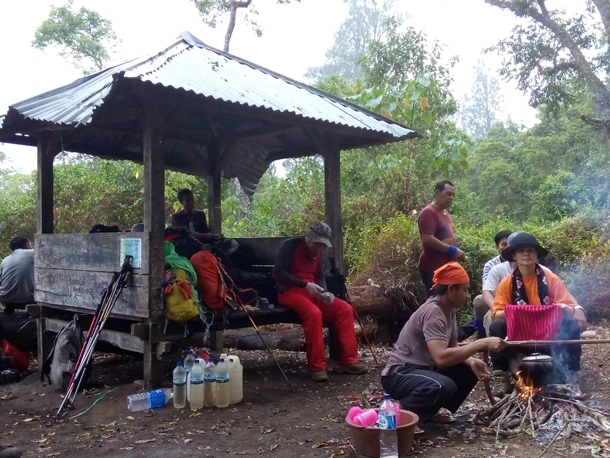 After lunch start trek to Entrance Gate (Pintu hutan Tambora) abour 30 minutes from Pancasila Village, take some rest, check up and water refill. 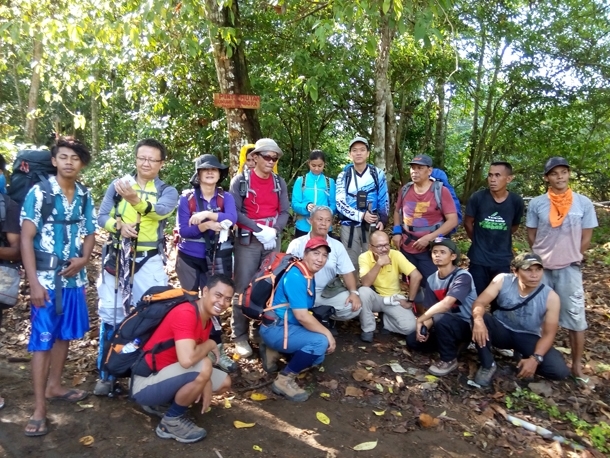 Trek continue to Pos 1 for 3 hours, reach the campsite of Pos 1 and set up the tent. Overnight at Pos 1 in tent. 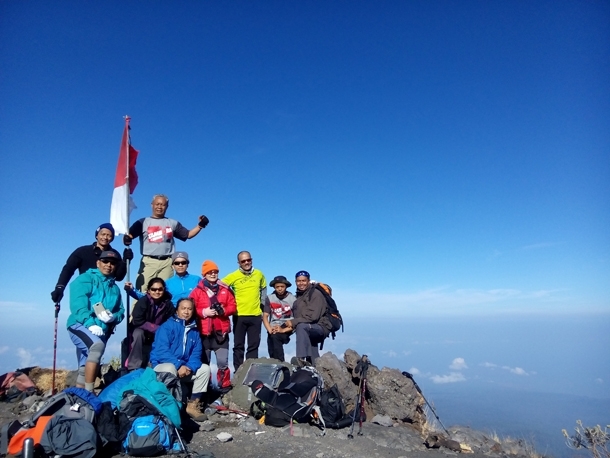 Summit attack start at 04.00 and reach the top around 05.30 stay at the summit and waiting for the sun rise. 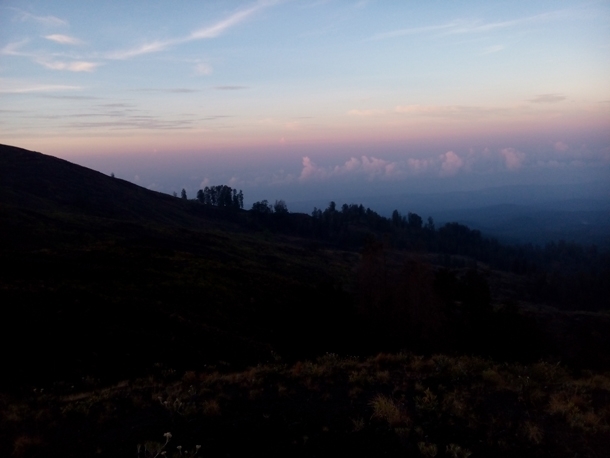 After sun rise descend back to the campsite, breakfast and rest. Tips for Porter, Guide and driver, Laundry, Phone calls and any personal expenses.